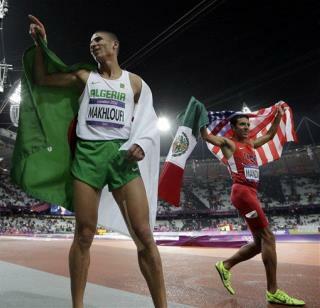 (Newser) – After Team USA runner Leo Manzano scored a silver medal in the 1,500-meters, he celebrated by waving two national flags. He wanted to honor both the nation in which he was born—Mexico—and the nation in which he grew up to become a world-class runner—the US. Ruben Navarrette Jr. can understand why many of his fellow Mexican-Americans found the decision to be "charming." As for him, "it upset my stomach," he writes at CNN. To continue this post in English, press "1." So many Mexicans come to the U.S. not to become Americans, but to turn the U.S. into Mexico. Sadly, much of their plan is working. He could have waved the American flag and put a toilet seat around his neck. That would have been better understood.